You are here: Home / Blog / General / A nicer way of covering tap holes. Better than any tap hole stopper, tap hole cap or plate. A must look article for plumbers. 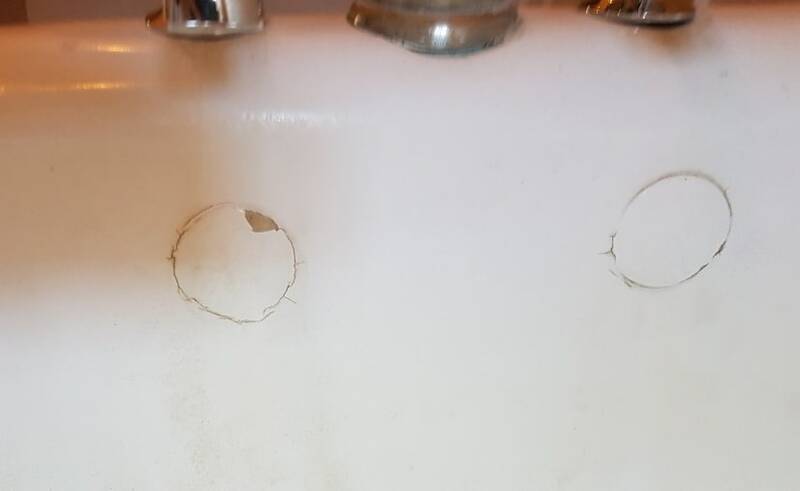 Often as a part of bath resurfacing, but usually as a stand-alone service, I got asked to fix the holes after tap relocation. Think of it as a chip repair service I offer but in a more unique way. Please, enjoy the short story with me. 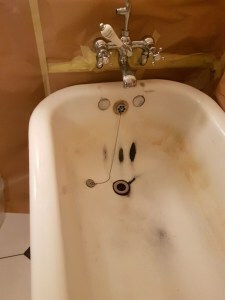 Filling of tap holes in acrylic and enamel baths. Tap hole fill and repair is a better alternative than plastic or enamelled plugs I encountered, as the repair is really difficult to spot. It doesn’t stand out, not is possible or very hard to find that the tap holes were originally in the other place. I prepared a few case studies for both acrylic baths and work in enamel surface. The service is as effective when repairing the spot area but from my technical point of view – the easiest when as a part of a full restoration project. 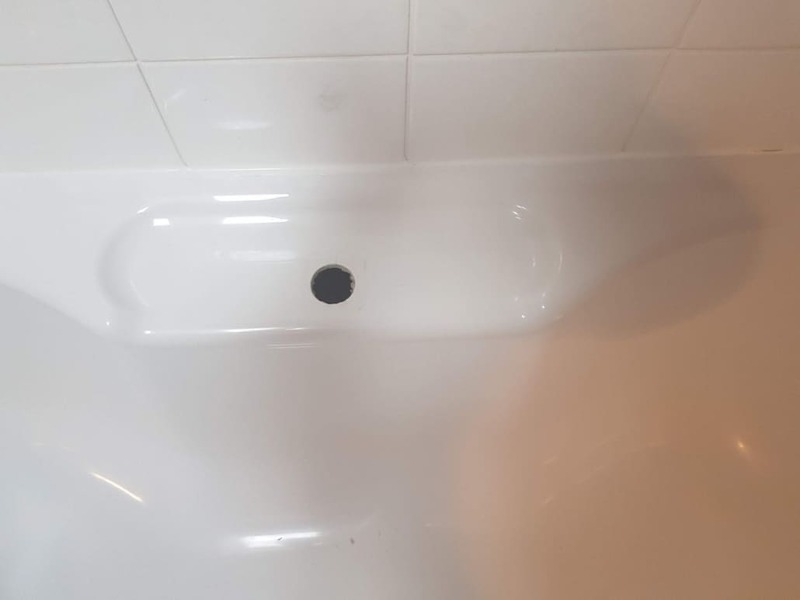 same bath after resurfacing – where the plastic tap hole covers gone? Case 1 – tap replaced and relocated in the acrylic bath. One of my favourite plumbing company from Cheltenham area (simpsonplumbing.co.uk) asked if I can help them with the existing project. 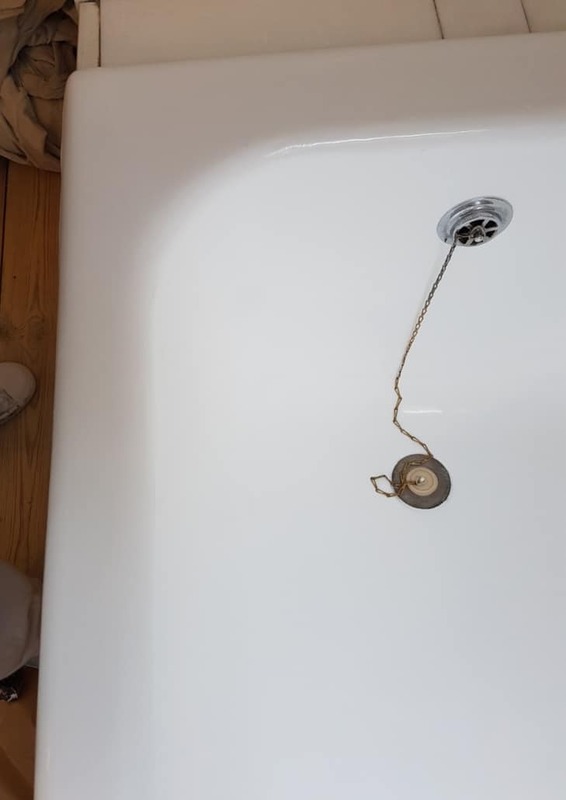 Their challenge was to mask the remaining hole if they upgrade and move the tap to a different position in acrylic bath ware. While the guys could still work around, I reinforced, levelled and top coated the tap holes making it disappear. My repair material pallette vary for the individual situation, here I decided on a fibreglass bridger to create a solid structure, followed by flexible finishing grade fillers for a smooth surface. As with all my spot chip repairs, I use pigment colours to recreate the colour and using airbrush techniques; I could make the place of repair disappear in a short while. 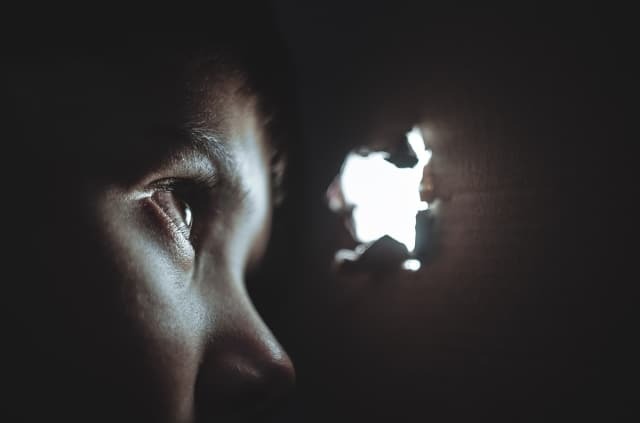 Many DIY and even so-called professional repair companies to fail when after days or a few weeks the repair you paid for, start to look dull or separate (is lifting or cracking). It is my trade secret, but I know how and what products to use to make it bond properly and easily last longer than a warrantied period. 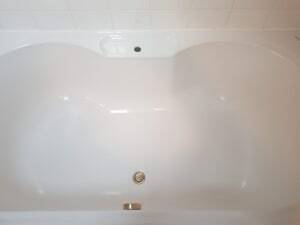 A shoulder place of this bath, became a candle shelf while the tap is now on the opposite side. 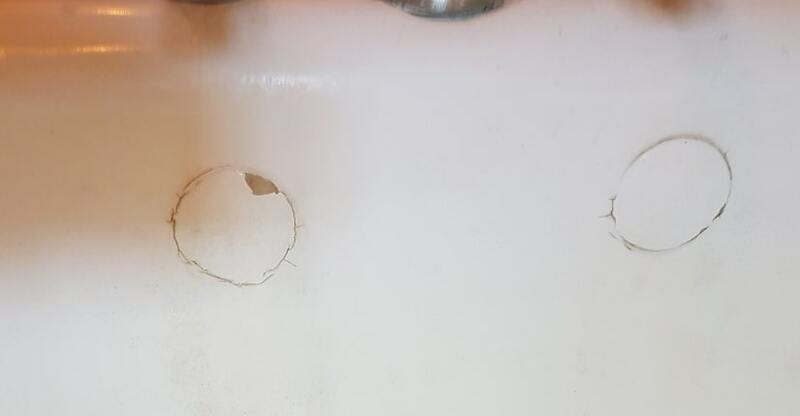 tap removed and a new water solution located opposite, but what to do with the hole? 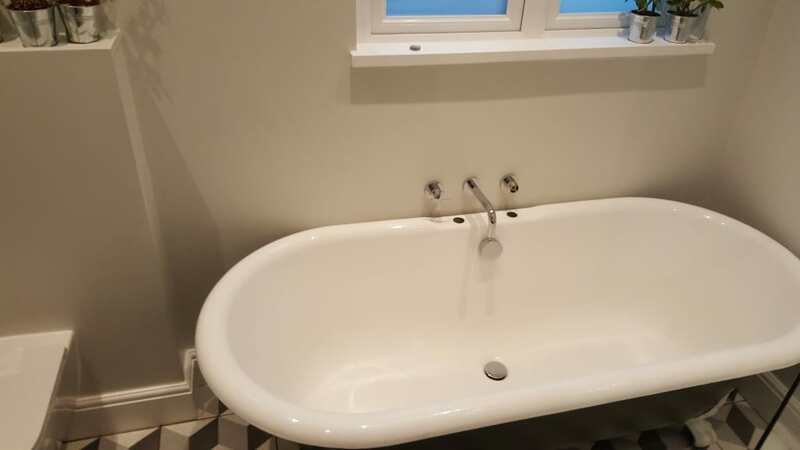 cast iron free standing bath with taps already relocated several years ago. Remove and fill with fresh material to warranty repair. More often I encountered the holes that are already masked with plastic or ceramic tap holes plugs. Especially first type doesn’t look very attractive. 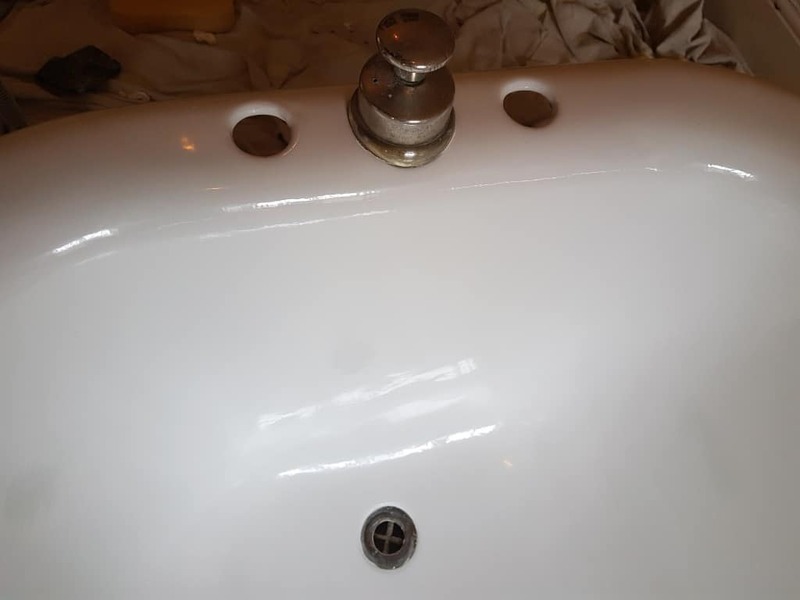 Sometimes when the bath needs to be stripped prior re-enamelling, I can discover that the operation was made before by other trade professionals, but it’s best to clean the old filler and reinforce it with fresh material so it will last for years to come. 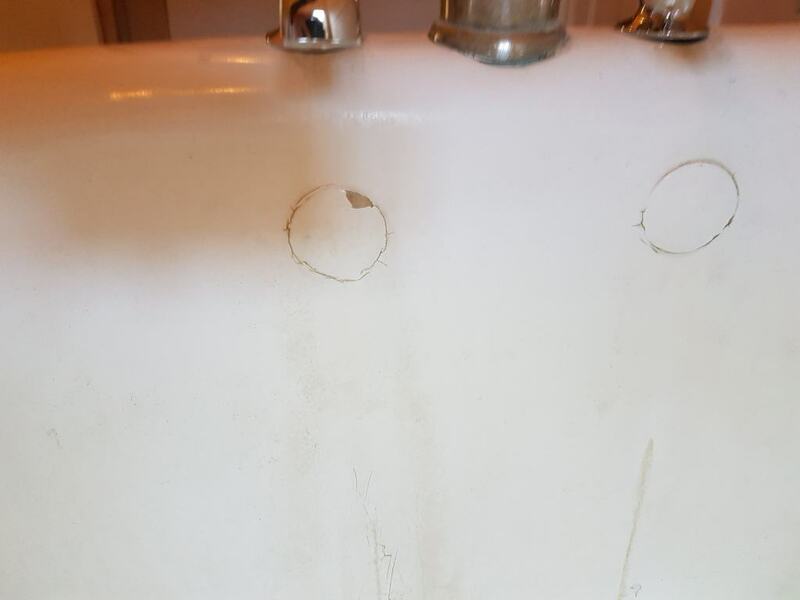 The tap holes on the Victorian bath from the picture above has already been repaired in the past. The repair was made so long ago, that it would be unsafe to rely on the material that was now failing due age. As with any other deep enamel chip repair, it requires the right blend of filling materials, promoted by a chemical bonding agent, levelled, undercoated and covered with a fresh splash of a topcoat resin. 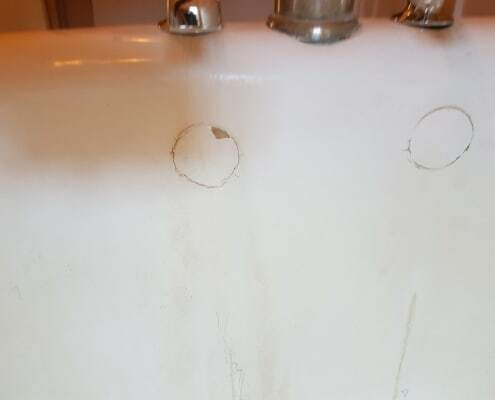 Results – a repair that is not possible to detect. Case 3 – wall mounted bath taps. 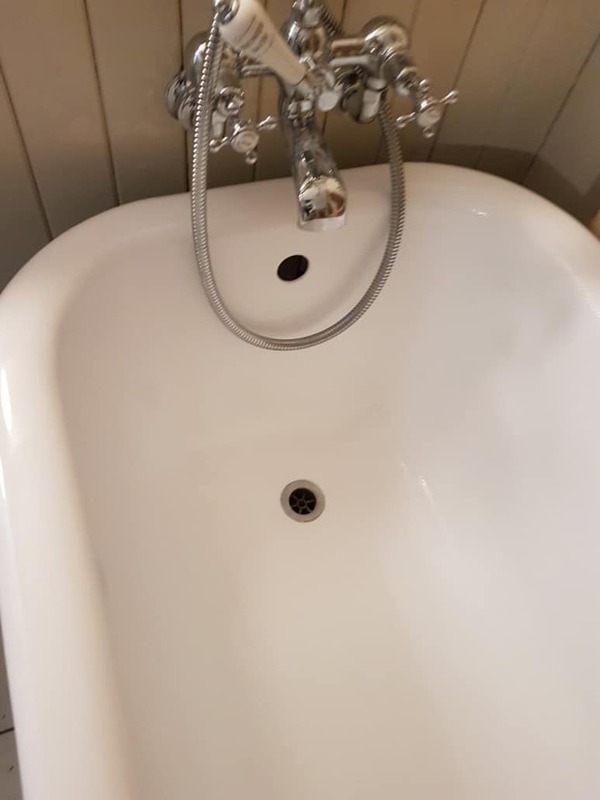 In this example, a client wanted taps to be fitted above their rolltop and the entire bath to be resurfaced. The dull bottom is a common reason why enamel baths need my service. Such a great challenge for Eager Beaver and such a relief for the environment. To make a story short – similar procedure and within a short while, on the same day afternoon, bath as new to be enjoyed. cleaning prior tiles resurfacing. Years of dust and dirt building up means a lot of preparation. Hope you enjoyed these additional service examples? If you need my help – here’s the way to contact me (or use the mobile from the top of the page). Doing the alternative service to replacement is to add for plumber and bathroom remodellers trade for me. 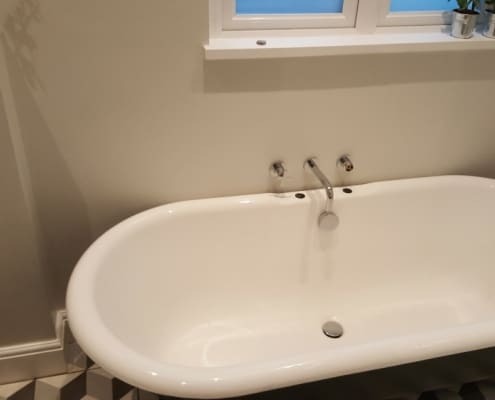 Not to mean to compete for a customer always – I’m enthusiastic and proud when bathroom refurbishment project allows using creativeness to make something better than new! 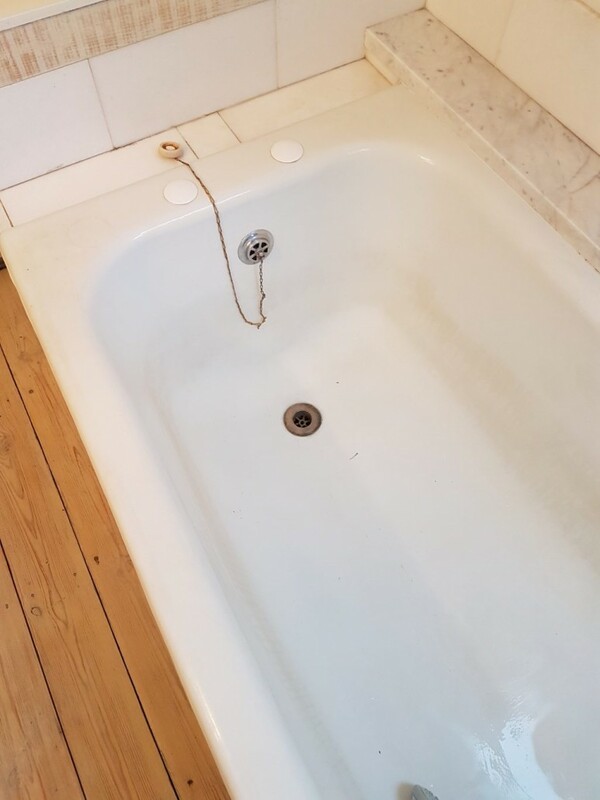 If you like reading my articles – here is to see what could be the reason for the rough bottom of this freestanding bath, and here to go to the bath enamel service page. …but this is the same bath after my visit. Would you like to leave it with cheap tap hole covers? Loved this post, it’s not everyday you stumble upon something so convincing. Unsplash 5 examples of time and cost effective bath enamel repair.